Born as Eadweard James Muggeridge in Kingston-on-Thames, England, in 1830, Eadweard Muybridge was the son of John Muggeridge and his wife Susannah Smith. Muybridge immigrated to the United States in 1852, working briefly in the printing business before turning to photography, gaining a reputation by photographing the landscapes of the American West. While a photographer in the U.S. Coast and Geodetic Survey of the Pacific Coast, in 1872, railroad tycoon Leland Stanford asked him if a running horse ever has all four of his feet off the ground at one time. 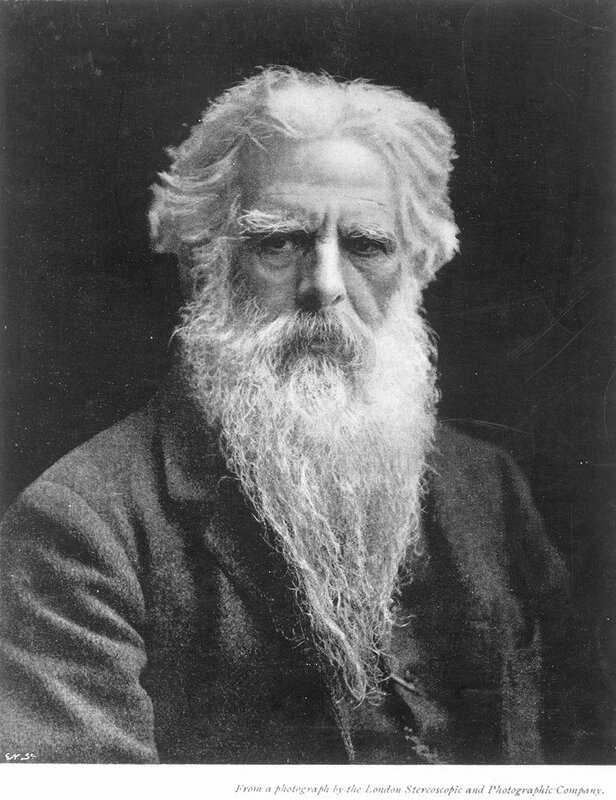 Muybridge worked for six years at Stanford’s stud farm; while his first photographs were inconclusive, with faster shutter speeds and an improved system for triggering the cameras, Muybridge was eventually able to produce a series of photographs which proved that at certain times all four feet are off the ground. These results were published in The Horse in Motion in 1878. By 1884 Muybridge’s work had impressed artist Thomas Eakins and Fairman Roger, Penn professor, horseman, and head of the Pennsylvania Academy of Fine Arts. They brought his work to the attention of William Pepper, then provost of the University of Pennsylvania. Pepper soon secured additional resources from Philadelphia’s financial and cultural leaders to back Muybridge’s locomotion work under the auspices of the University of Pennsylvania. For several years Muybridge lived in West Philadelphia and worked on the Animal Locomotion project. At that time Muybridge perfected a timing mechanism and an electro-magnetic latch to release the camera shutters; the result was the 781 plates of Animal Locomotion, published in 1887. As the pioneer photographer of motion, Muybridge is often referred to as the “Father of the Motion Picture.” At the 1893 World’s Columbian Exposition in Chicago, he used his zoopraxography machine to use light shone through revolving glass disks of locomotion series to project moving pictures on a wall in Zoopraxographical Hall, thus the first motion picture theater.